Recent substantive reforms to the English National Health Service expanded patient choice and encouraged hospitals to compete within a market with fixed prices. This study investigates whether these reforms led to improvements in hospital quality. We use a difference-in-difference-style estimator to test whether hospital quality (measured using mortality from acute myocardial infarction) improved more quickly in more competitive markets after these reforms came into force in 2006. We find that after the reforms were implemented, mortality fell (i.e. quality improved) for patients living in more competitive markets. 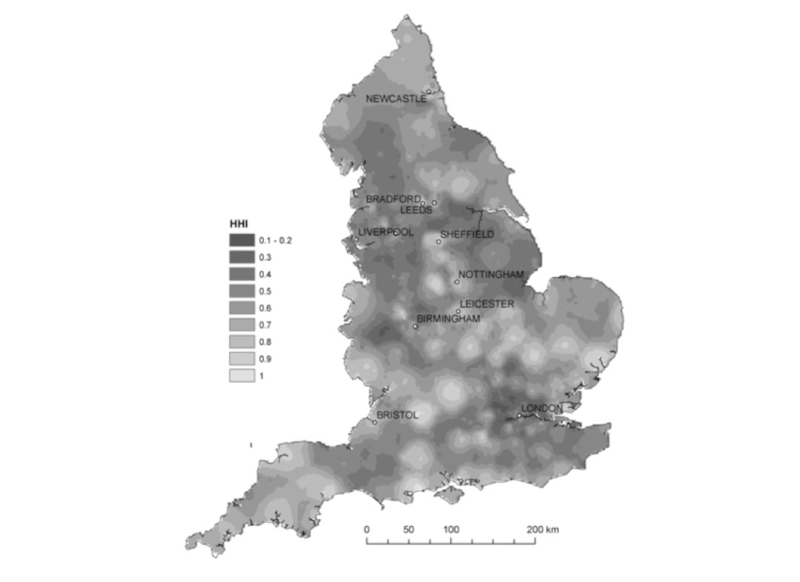 Our results suggest that hospital competition can lead to improvements in hospital quality. 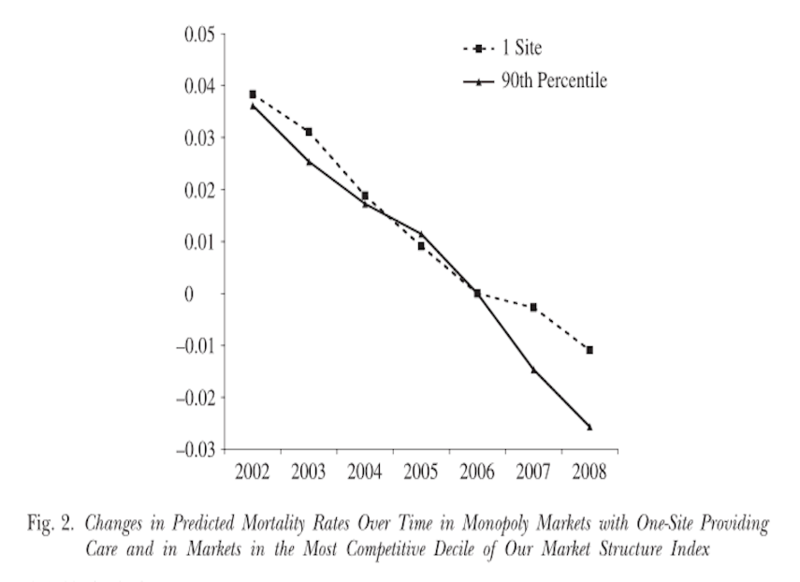 Compared to the mean, AMI mortality has fallen approximately 0.31 percentage points per year faster in places that were one standard deviation higher on our market structure index (on a base mortality of 13.82% during the 2002-8 period). We used 12 distinct measures of hospital market concentration. Our results were robust across each measure.